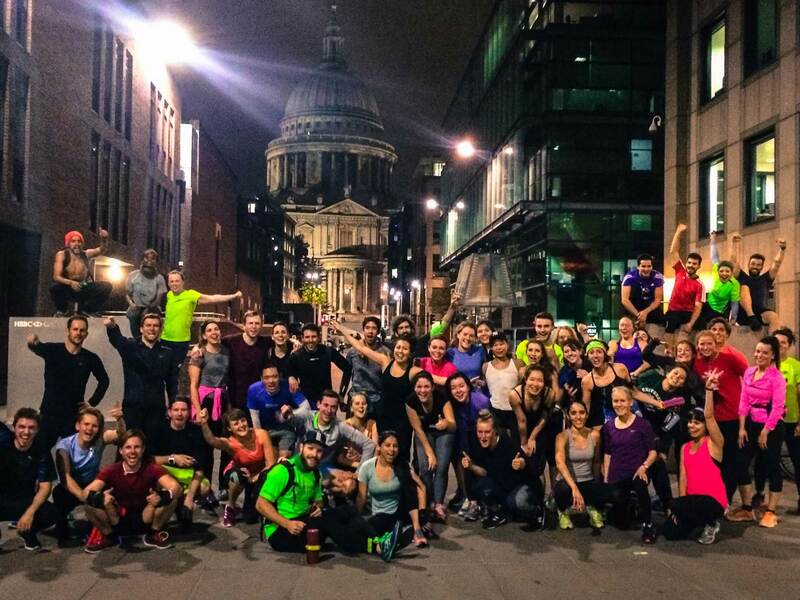 London has never had so much to offer the urban endorphin seeker. 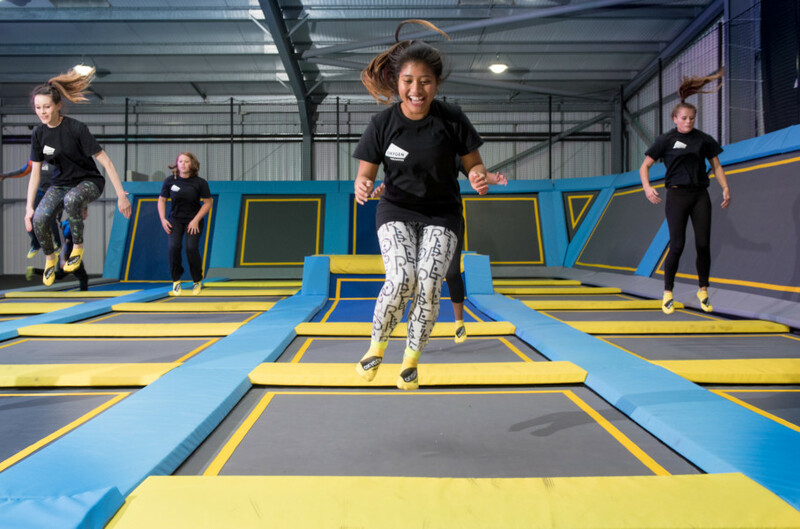 From swimming journeys across the city's lidos to midnight runs through the deserted backstreets, there are many many ways to get your fix of fresh air and endorphins through the winter months. Inevitably, its that bit harder to find the willpower to keep active during the winter. Your bear-like hibernating instincts kick in and before you know it you're happily sat on the sofa with a cold beer and some Pringles. You know you'd feel better if you did some exercise but, well, those Pringles aren't going eat themselves. However, if you can find something that grabs your interest you might just find the willpower to keep active and you're guaranteed to feel better for it. So here are a few of the city's sweaty mobs that will welcome you with open arms. The Pringles will still be there when you get back, and will taste way better. 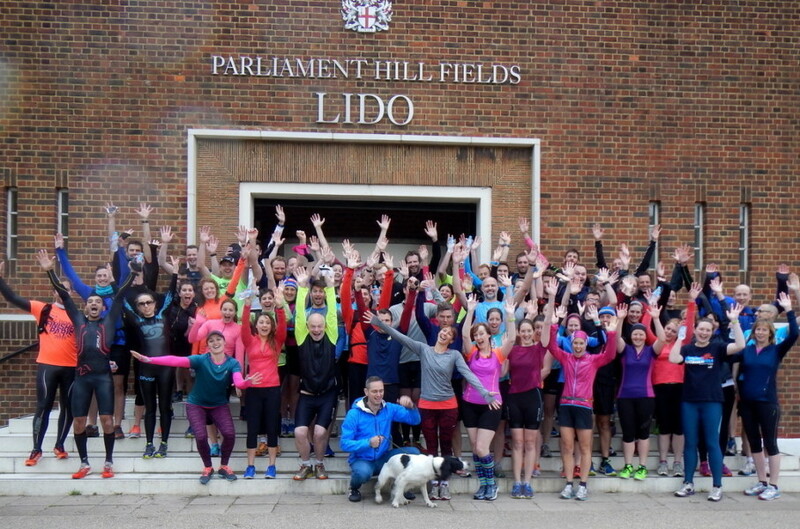 Run and swim your way across London in the company of some like-minded folk. From the ponds of Hampstead Heath through the early morning streets of Knightsbridge to South London's Brockwell Lido. 13 miles of running freshened up with 4 cold swims. This event is no race, with the emphasis being entirely on enjoying the moment. Taking place early on Saturday morning, this is a start to the weekend that will soon have washed the stresses of the previous week away. 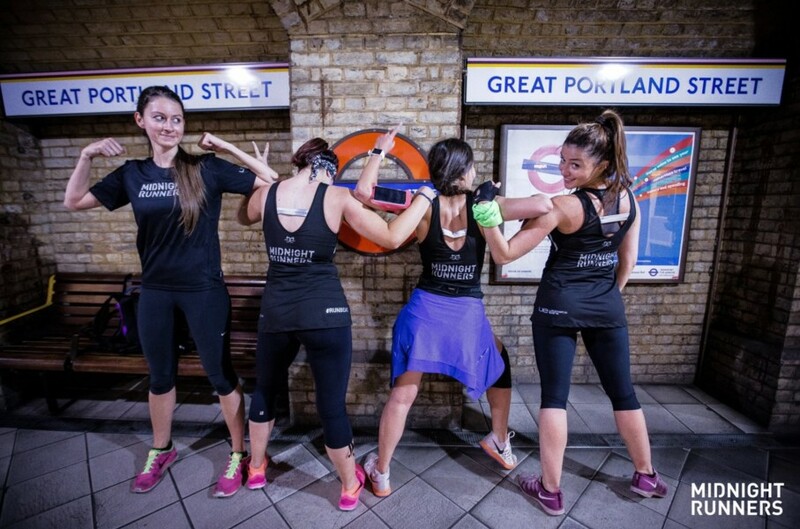 'A free fitness movement that gets you out of bed and into fitness'. 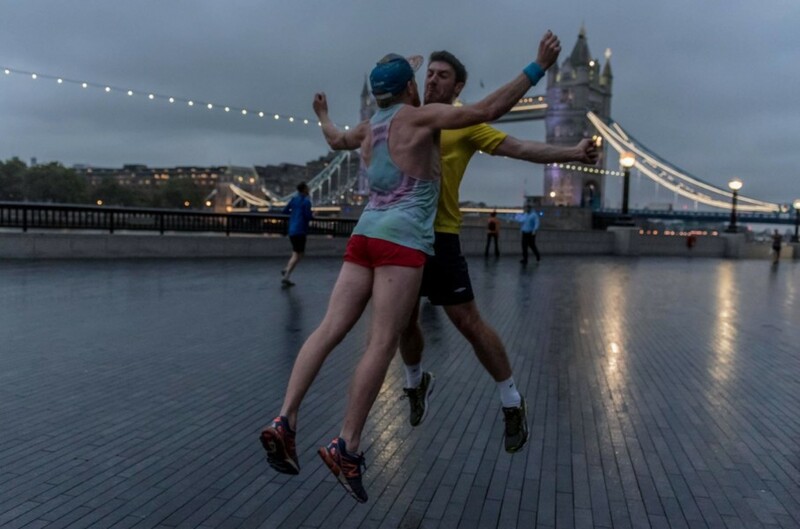 Another early start is rewarded by Project Awesome, a twice weekly fitness frolic involving stair climbs, burpees, lego, mexican waves and hugs. Led by the flourescent dynamo Danny Bent and super smiley adventurer Anna McNuff. The movement's growing quickly, with meet ups now also taking place in Bristol and Edinburgh. 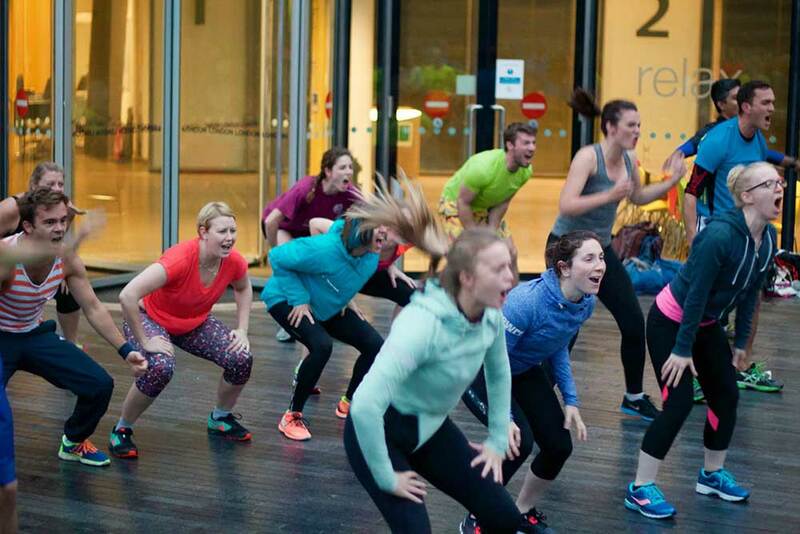 "The most fun you can have in a fitness class", reads the review on Lunges + Lycra "the next day I had DOMs in my cheeks from laughing so much". 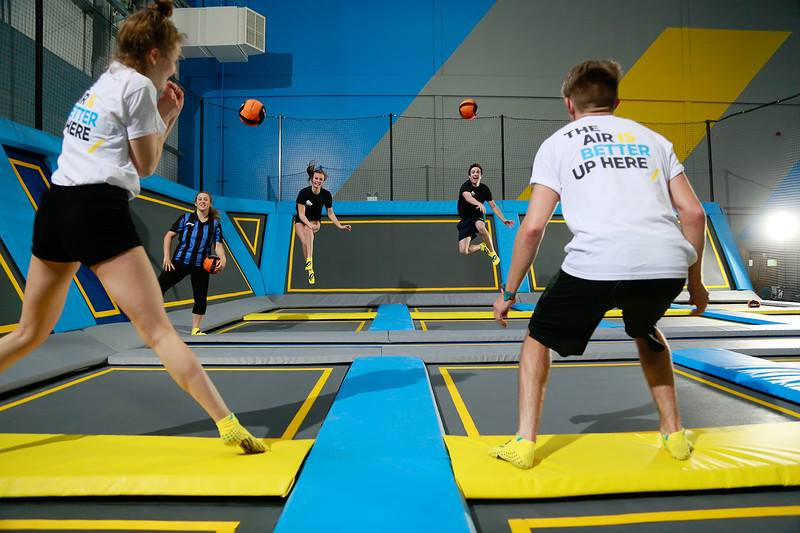 Oxygen Freejumping is in Acton, West London. There are a host of different types of equipment and classes, with the common theme being bouncing - and a fair amount of laughing. 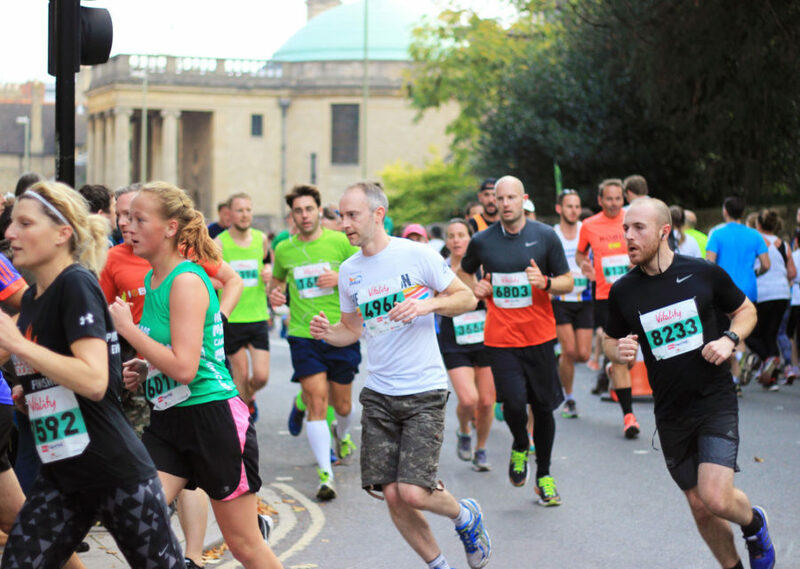 London has running clubs to suit all types of runner, from the traditional running clubs (which can be found through England Athletics) to urban run crews like Run Dem Crew. RDC may be the best known, but there are lots of others, such as London Midnight Runners , Chelsea's The Sports Edit and Running Works.